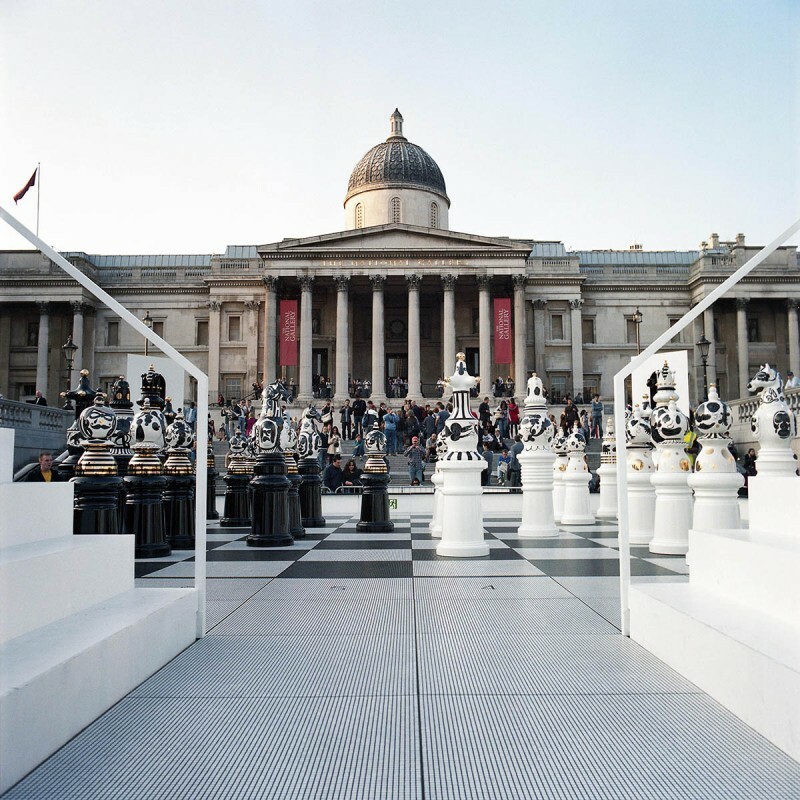 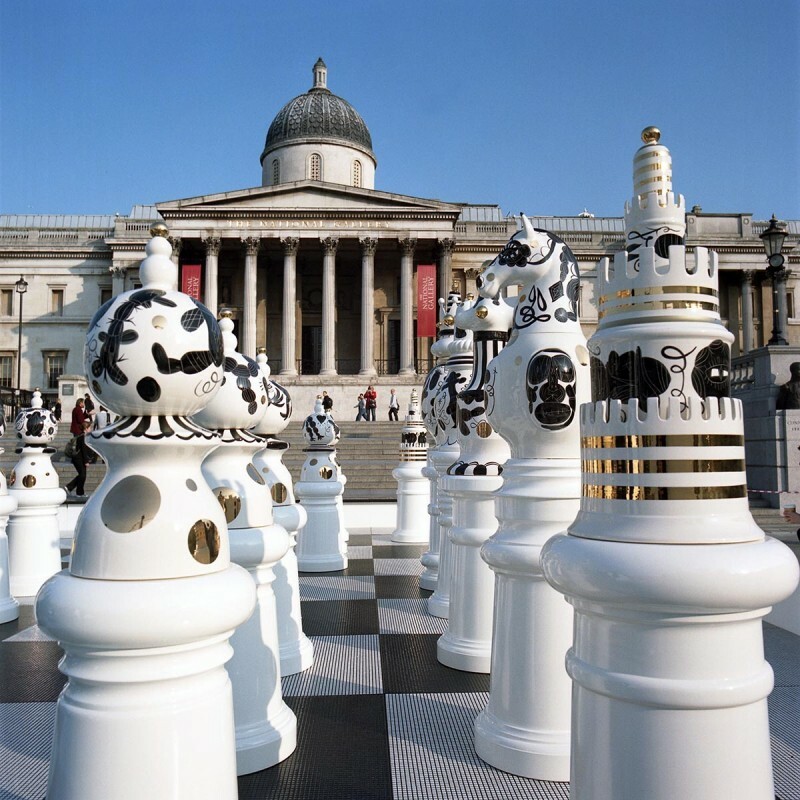 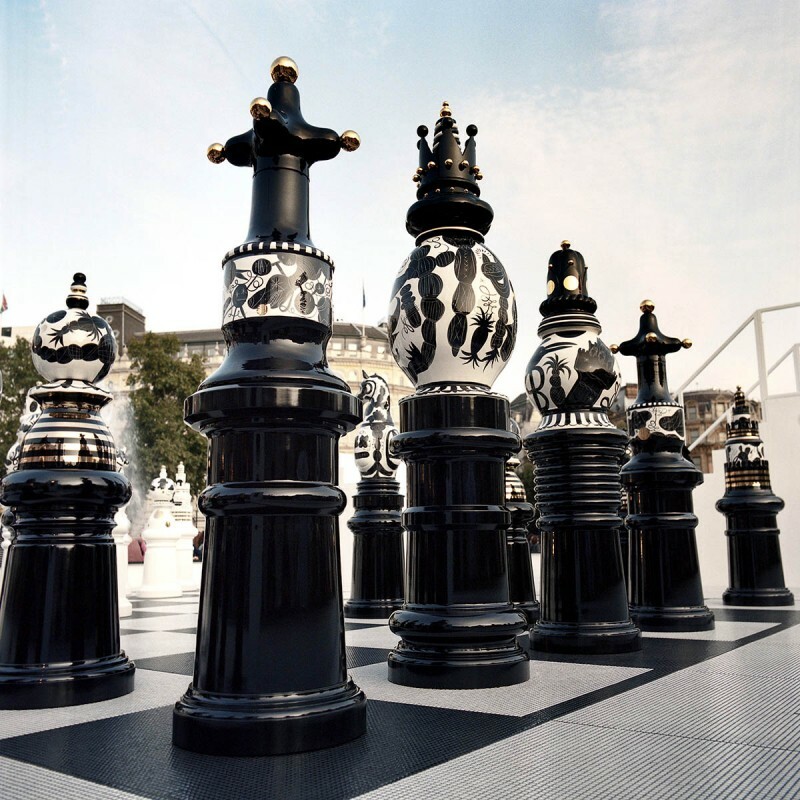 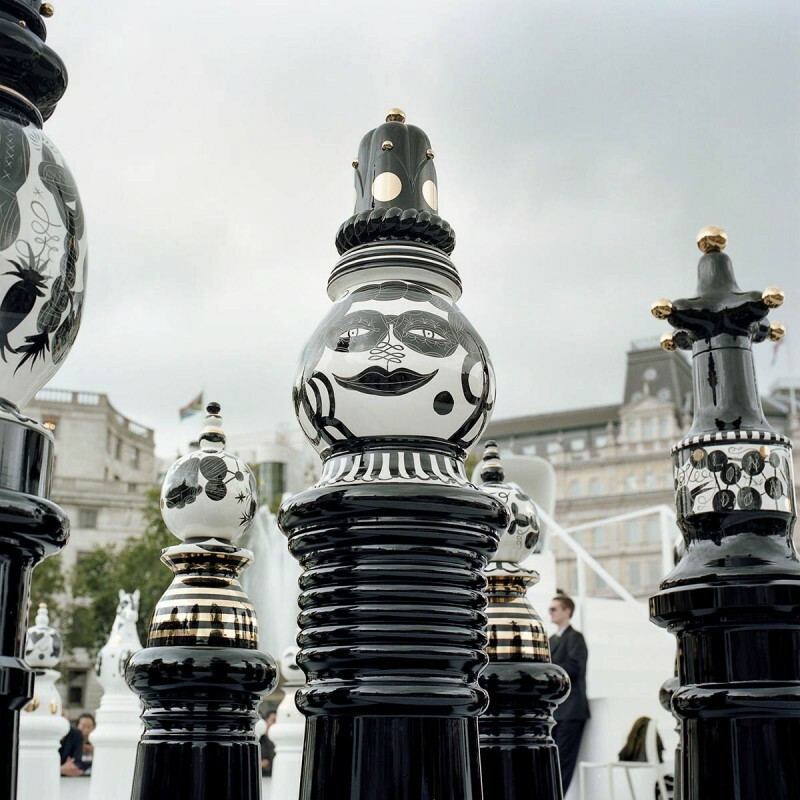 Launched at the London Design Festival 2009, The Tournament, an installation created by Hayon consists of a gigantic chess set, with 2m high ceramic chess pieces designed by Hayon on a specially created Bisazza mosaic glass chess board. 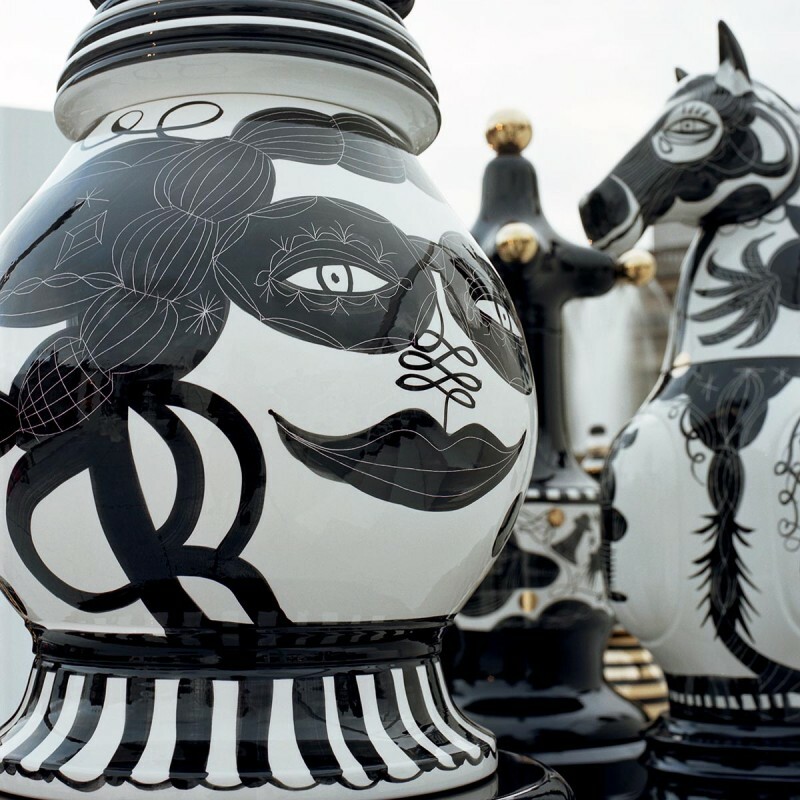 Each of the 32 chess pieces has been handcrafted by Hayon, working with Bosa, the Italian ceramics experts in Veneto, Italy. 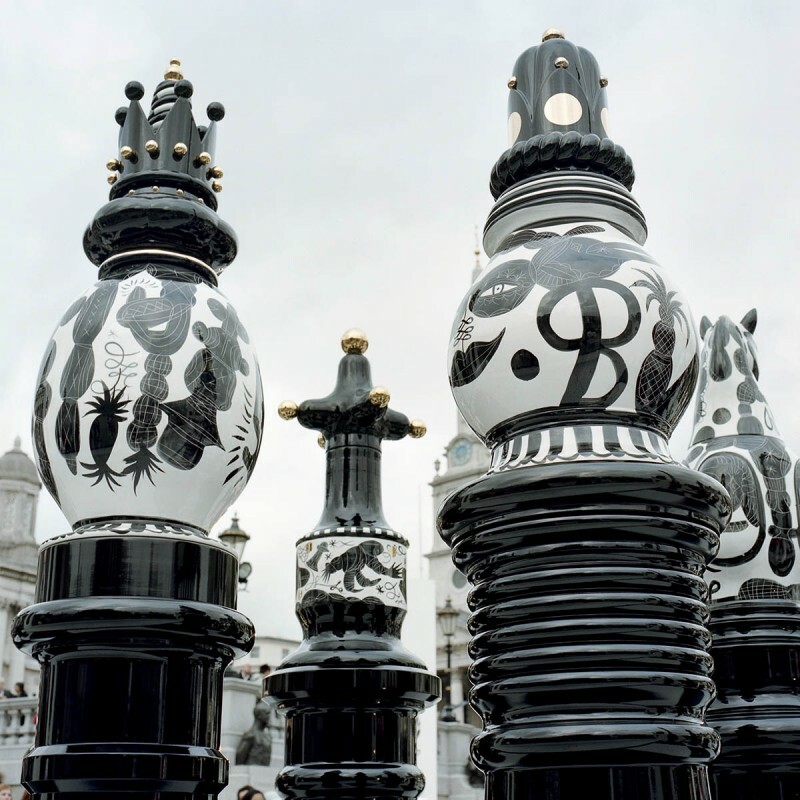 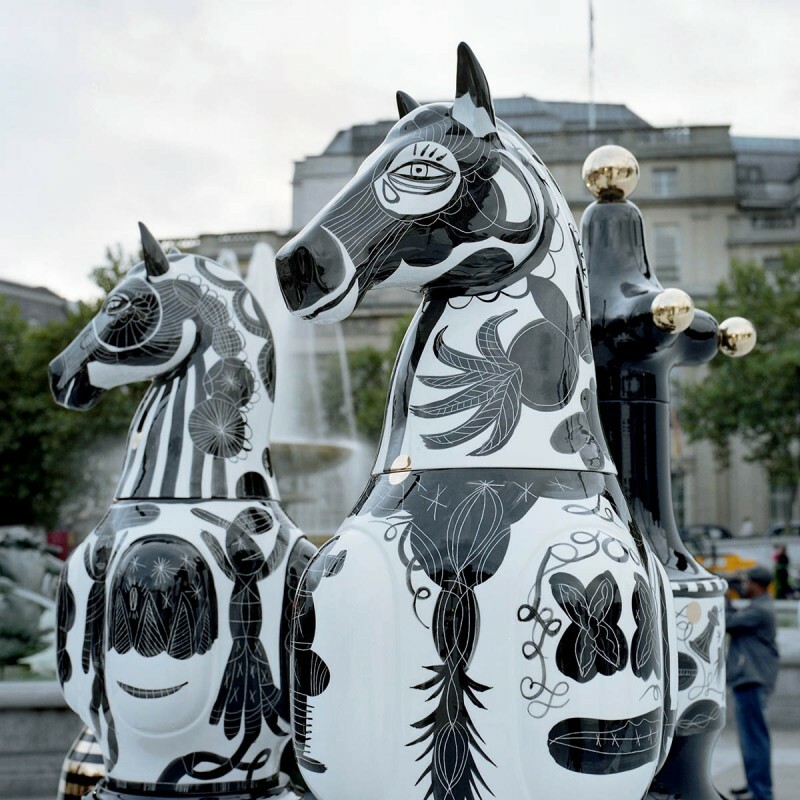 Each chess piece is unique, having been hand-painted by Hayon himself. 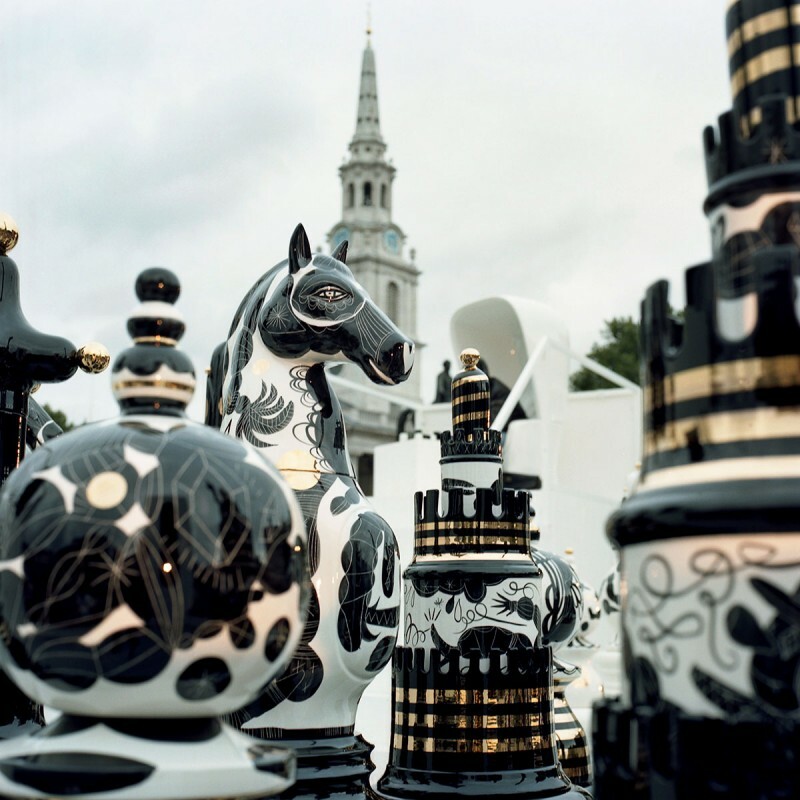 The Tournament was inspired by London and its history and heritage. 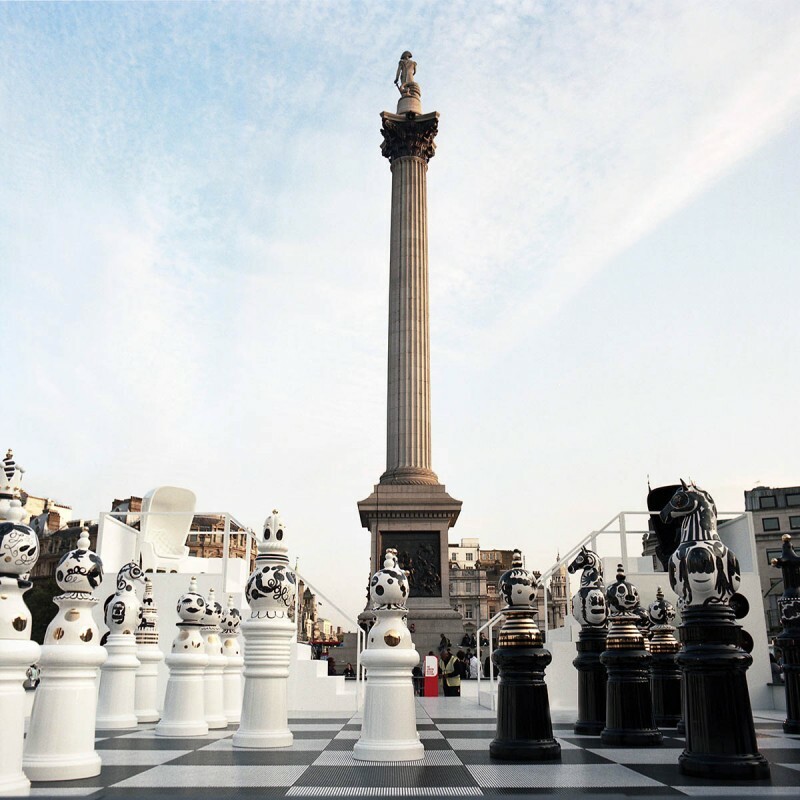 The Battle of Trafalgar was organized like a chess game of naval strategy. 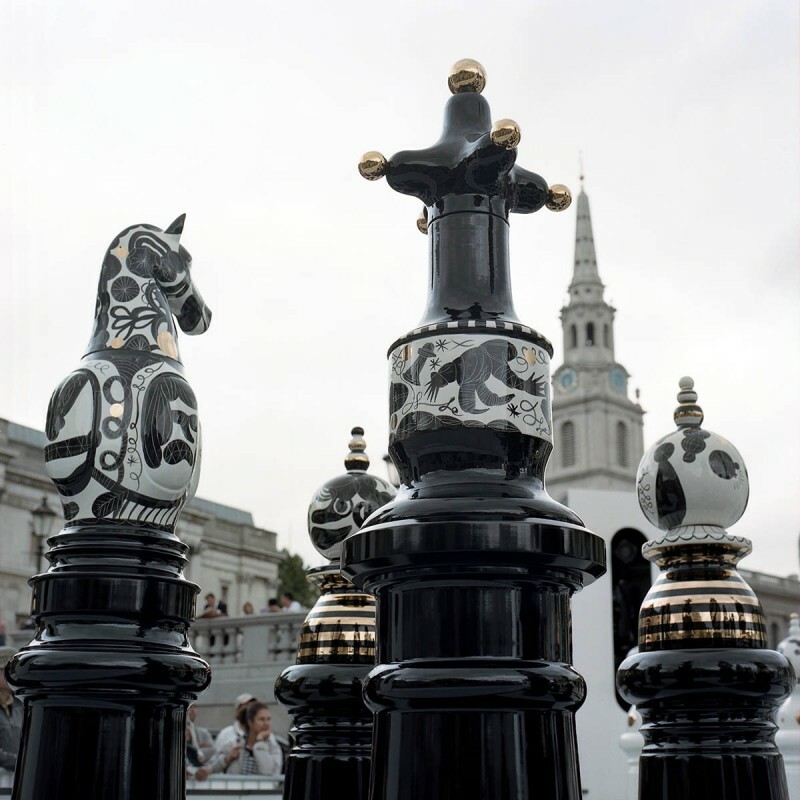 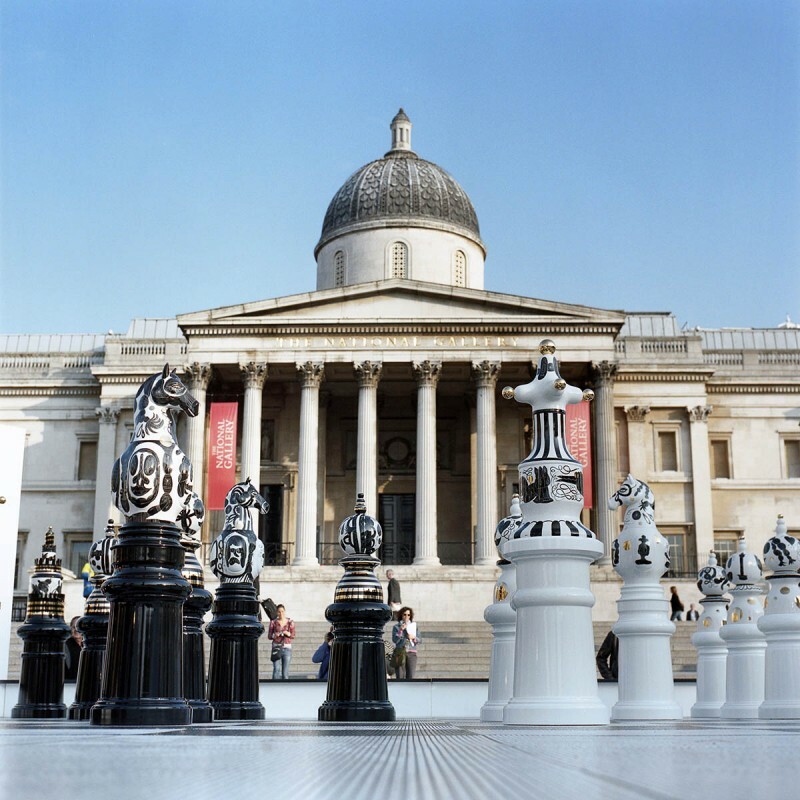 Many of the chess pieces reference specific iconic buildings in London and their domes, towers and spires. 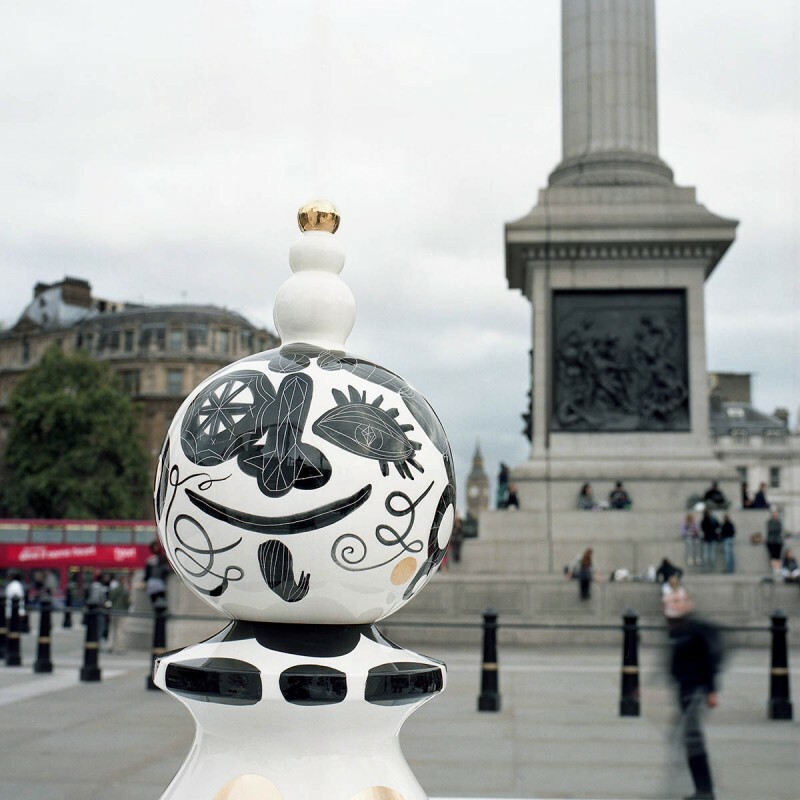 Elements of the city of London and its history have been encoded on the pieces using Hayon’s very personal style.